Have you ever been on vacation and been in one of the tourist areas where they have street vendors cooking right out in the open? That smell just lures you in. That is how Roasted Pumpkin Pie Spice Pecans are for me! We spent 5 years living in the Charleston area and walking around by the market always came with that very distinct smell of cinnamon and sugar roasting on almonds. You could smell it blocks away. I gave in to that temptation a lot and have since been making my own sweet roasted nuts during the holidays. I am all about recipes that make it look like I have worked harder than I really did. Do you remember the famous holiday cookie commercial where the mom brought the pre-made cookies? She threw flour on herself so her family thought she went through all the effort for scratch-made cookies (but she really didn’t)? That is how this feels to me. 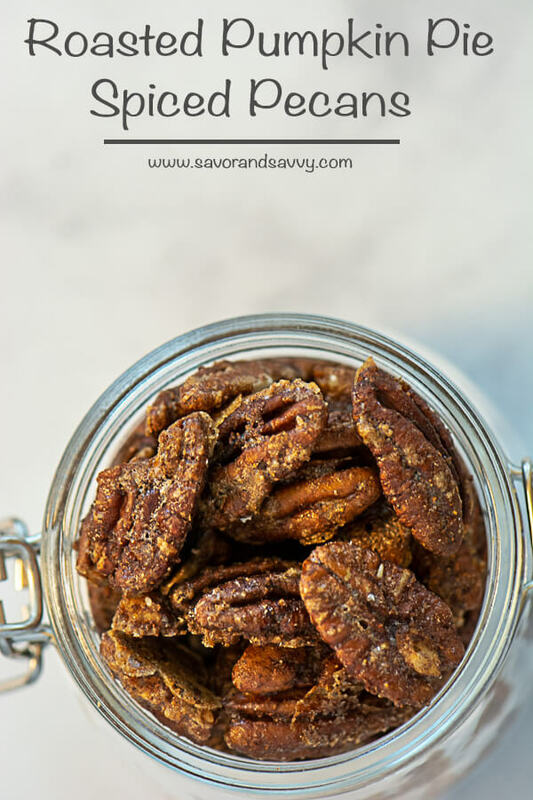 Everyone raves over these candied nuts and they are so easy to make and delicious to snack on! Start off by making your own Pumpkin Pie Spice. These are going to go together so fast, you can make a couple of batches with time to spare! Mix the sugar and the Pumpkin Pie Spice together. In another bowl, mix the egg white and vanilla until foamy as you see in this photo. Yes, you do have to mix it to that level. Since I am the queen of trying to cut corners, trust me when I tell you that it doesn’t work at all if you don’t get the foam. Trade secret – if you don’t you get it foamy, you will be left with strings of cooked up egg whites with the pecans…or so I have heard. Cough. Cough. Toss the pecans with the foamy egg 🙂 and vanilla mixture and then mix in the Pumpkin Pie Spice. Place the coated pecans on a lightly greased cookie sheet. You can also use parchment paper here, if you have it. It will make the clean up a bit easier. I like to flip the pecans several times while they are cooking, so I set the timer for 15 minutes and flip them over. Do this 4 times for a total cooking time of 1 hour. 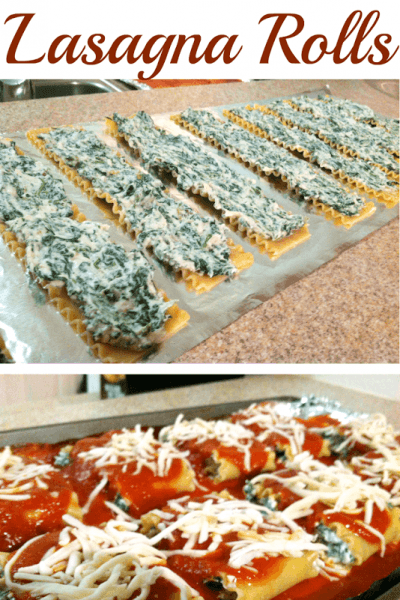 Move the cookie sheet around each time so they cook evenly. Ovens have hot spots and you don’t want one corner to overcook. Pecans are too expensive to waste! 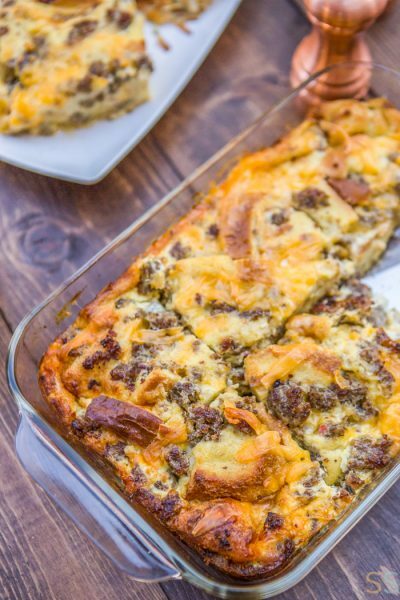 Use a Sheet Pan to Toast the Pecans. Cinnamon Sugar Roasted Pecans are equally delicious! They are made the same way except you use 2 tsp cinnamon, ¾ cup sugar, ½ tsp salt in place of the Pumpkin Pie Spice. The Cinnamon Sugar will be a thicker coating on the pecans than the Pumpkin Pie Spiced ones. These are a treat and also an amazing topping on a strawberry spinach salad. You only need a few to really add a punch to an already amazing salad. These also make oats so yummy! Just that little bit of sugar is all the sweet that you need to make plain-old oats so tasty. 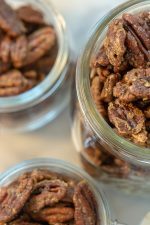 Simple Roasted Pecans are just that! Simple and delish! Using the same method, toss the pecans with 3 tbsp of butter and ½ tsp salt. Spread on a baking sheet and cook the same as above. This is a great snack in lieu of candy or crackers. 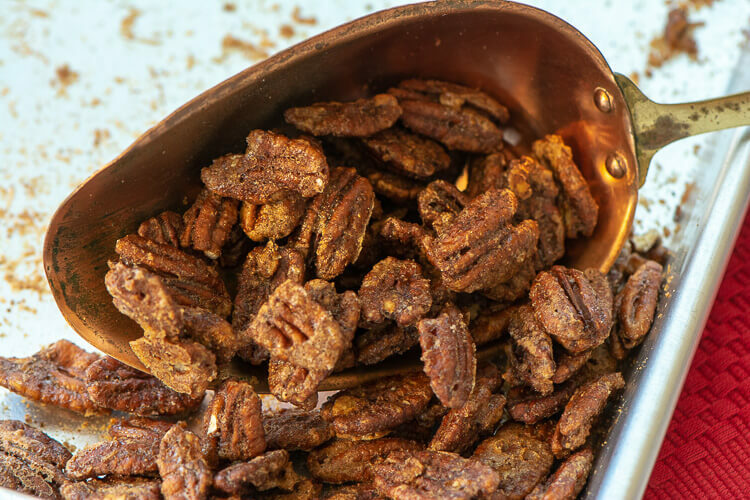 Savory Roasted Pecans are reminiscent of the famous Chex Mix snack to me. 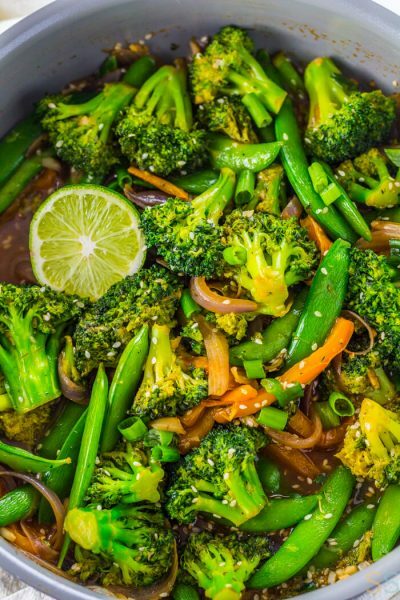 Combine 3 tbsp of butter, 2 tbsp worcestershire sauce, 2 tsp chili powder, ½ tsp garlic powder, ½ tsp sea salt and ⅛-¼ tsp of cayenne pepper or red pepper flakes. Then toss the pecans and roast as above. We think this is pretty close to the Chex Mix flavoring without having the non-filling carbs that come with boxed cereal. Love you Chex! I really do! But this is an alternative to the sweet Chex Mix I really love!! Rosemary Roasted Pecans are packed with earthy flavors that you will keep nibbling on! Take the same 3 cups of pecans and mix it with 3 tbsp of melted butter, 3 tbsp of finely chopped rosemary, ½ tsp sea salt, and 1 tsp cumin. Add red pepper or cayenne for a kick, but we usually are happy without it. Toss the pecans together with the melted butter and spices and cook as above. Once the pecans have cooled, place them in an airtight container if you are not going to serve them immediately. Leaving them out in the air will make them mushy if you live in an area with much humidity. I might be speaking from experience again! 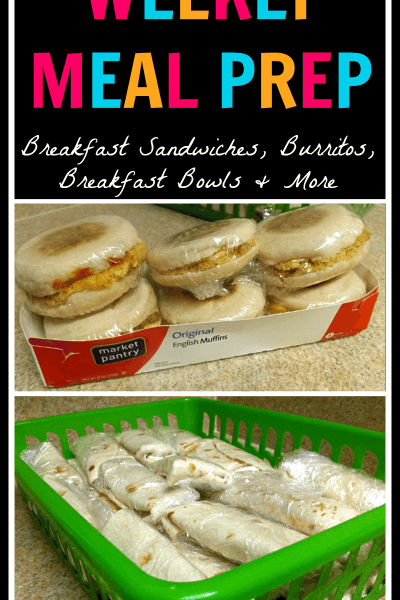 I have used Rubbermaid Containers or gallon zip lock bags as long as they close securely. Why Do I Cook These at 250 degrees instead of 300 degrees? I found that cooking at a 250 degree temperature rather than the 300 allows me to have better control over the roasting process. The nuts are less likely to burn and you achieve a more evenly cooked snack. I’m all about doing things quicker and easier, but turning up the temperature here is not a home run for me. Others do it just fine, and that is fantastic. I prefer the control of the lower temperature and I still obtain the same results. Cinnamon, clove smelling goodness all wrapped up in a snack fit for your hands! Decide to make two batches now as you will regret it if you only make a single!! Add the cinnamon, ginger, ground cloves and nutmeg together in a bowl. Mix. 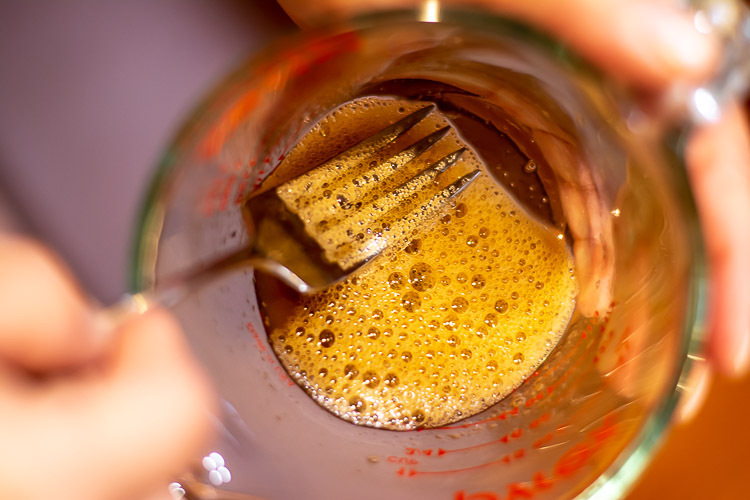 Combine sugar and 2 tsp of Pumpkin Pie Spice together. Set aside. 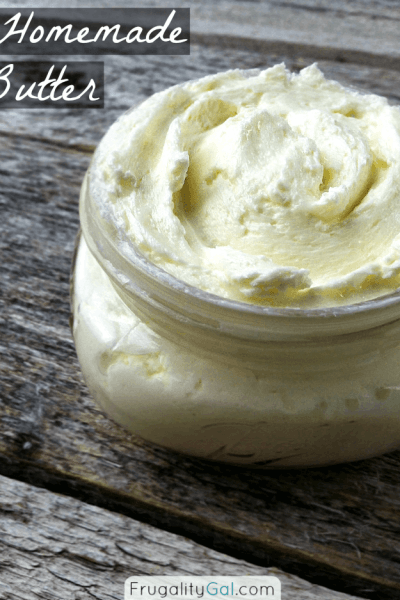 Combine egg white and vanilla and whip/whisk until foamy. It should appear light and frothy. Combine pecans and egg white mixture. Toss pecans into the sugar and spice mixture. 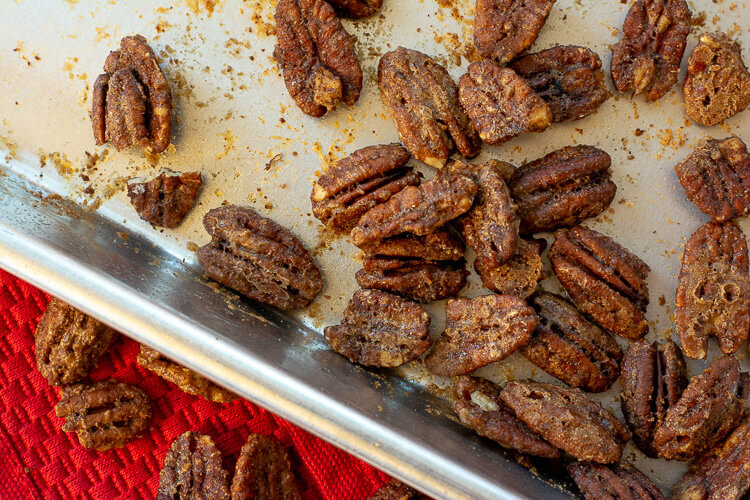 Place pecans on a lightly greased sheet pan or sheet pan covered with parchment paper. Cook at 250 for 1 hour, stirring every 15 minutes to prevent burning. You may need to turn the actual pan in the oven as well to avoid hot spots. Delicious and Easy Roasted Pumpkin Pie Spiced Pecans.